They are aghast at what has happened to energy policy in Australia and are astonished that Australia is the only G20 Country with legislation prohibiting nuclear power. On these pages, we have repeatedly advocated for nuclear power; simply because it ticks the three essential power generation boxes: security, reliability and affordability. For those fretting about carbon dioxide gas, nuclear power is the only stand-alone generation system that ticks the emissions-free-generation box, too. Here’s what Banks and Hilmer think about Australia’s infantile obsession with wind and solar power, and what this Country should do about it. Two of Australia’s most respected economic reformers have urged the government to scale back its commitment to the Paris emissions-reduction agreement and revive a market-based mechanism to curb greenhouse gases, suggesting the renewable energy target is damaging the country’s competitiveness. Lamenting at least a decade of reform paralysis, Keating government adviser Fred Hilmer and Gary Banks, the inaugural Productivity Commission chairman, said they had all but given up on rational reform in the energy market. They were now left to hope that blackouts in Sydney and Melbourne this summer inject sense into what they saw as an increasingly dishonest policy debate. “The notion that there’s a trade-off, that we can’t have it all, that there’s no free lunch, that’s not been made clear to the public,” Professor Banks said. “In fact when you look at it, we’ve ruled out all the least-cost ways of transitioning to a low-emission economy … we’ve ruled out nuclear and essentially ruled out gas too. Australia is the only G20 country with a legislative prohibition on nuclear energy. Professor Hilmer, whose report for the Keating government unleashed a wave of pro-competition reforms in the 1990s, including helping to form the national electricity market, said blackouts this summer “would be great” to refocus the energy debate. He and Professor Banks are both frustrated with state bans on gas ­exploration. “I can’t believe the problems (with fracking) are all that real; otherwise the US would be committing suicide,” Professor Hilmer said. Professor Banks, now a professorial fellow at the Melbourne Institute after 15 years leading the Productivity Commission, said Australia was getting ahead of other countries, notably the US, in pursuing low-emissions targets, to its economic detriment. “We have to go back to start to look at whether we’ve signed up to something that for our economy is too tough,” Professor Banks said. In June the Turnbull government reaffirmed Australia’s commitment along with more than 100 countries to reduce emissions by at least 26 per cent by 2030 from 2005 levels. The comments will increase pressure on the Turnbull government, which has appeared divided on energy policy since the wake of blackouts in South Australia last year, to reject chief scientist Alan Finkel’s recommendation in June to introduce a clean energy target that would mandate a rising share of low-emissions energy provision after 2020. 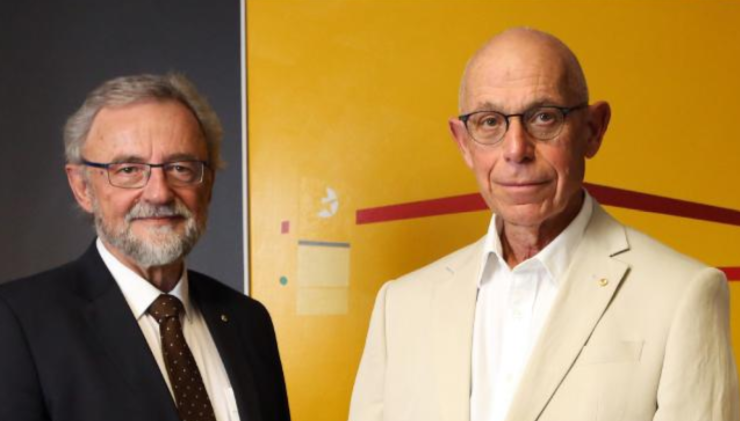 Professor Hilmer and Professor Banks said the quality of analysis and modelling of energy policy, including in the Finkel review, had not been transparent, rigorous or comprehensive enough. “We’ve been cursed with multiple objectives,” Professor Hilmer said. Professor Banks suggested the Productivity Commission should and could have made “a much bigger contribution” to the development of energy policy. On Monday Energy Minister Josh Frydenberg hinted the government might not replace the Renewable Energy Target, which will require 33 terawatts of renewable energy generation by 2020, arguing wind and solar power were increasingly viable without support. The prospect of further blackouts when AGL’s Liddell coal-fired power station in NSW closes in 2020 has increased attention on national energy policy. Professor Hilmer, who was a vice-chancellor of the University of NSW and Fairfax chief executive, questioned whether a government would be “brave enough to (tell voters): actually let’s stop and start again because we’re hurting this country by making it high cost”. Reform was easier in the 1990s, he said. The Turnbull government has struggled to implement the successor to Professor Hilmer’s 1993 ­National Competition Policy: Ian Harper’s competition review, released in 2015 under Tony Abbott. China has 37 and is putting the lid on another 20, right now. By dint of deliberate policy action the politicians have conspired to create an energy pricing and supply crisis in our energy-rich nation and now have come up with a novel solution. They call it demand management. Rather than offer what we have come to expect in the First World — being supplied with power when we need it at an affordable price — the government is encouraging us to limit our consumption. It is so keen to cut demand that it will spend taxpayers’ money on pilot schemes through the private and public power companies of Victoria, South Australia and NSW to offer financial incentives for households to curb their electricity use. People will be paid not to use power — to switch it off — at times of peak demand such as on hot summer days when most airconditioners run. Smart devices might turn coolers down or off to win rebates on power bills in the same way some energy-intensive factories receive payments to shut down during peak periods. This is what we have become: one of the largest exporters of energy (through coal, liquefied natural gas and uranium) is so hellbent on boosting and subsidising renewable energy to cut carbon emissions that we now have grave concerns about the rising cost of power and possible shortages, and will pay people not to use electricity. It may be time for the Yes, Prime Minister scriptwriters to come out of retirement. Or perhaps Samuel Taylor Coleridge could be reworked into the Rime of the Ancient Coalminer with power, power, everywhere but not a switch to flick. Malcolm Turnbull and Energy Minister Josh Frydenberg have been mulling over energy policy for most of the year, particularly since Chief Scientist Alan Finkel handed down his report in June. Yet still we wait for official word on whether the government will adopt Dr Finkel’s key recommendation of a clean energy target — something former prime minister Tony Abbott has railed against and the government has been crab-walking away from. “There has been too much sloganising, too much politics, too much ideology and, frankly, too much idiocy, and we’re not going to make the same mistakes that were made in the past,” Mr Turnbull said yesterday. Yet the major errors, such as the carbon tax and renewable energy target, have been government interventions and the only proposed solutions are more interventions. As a nation, through actions of federal and state governments, we have inflicted economic self-harm, eliminating our natural economic advantage of cheap and plentiful energy. Two of the nation’s leading non-political economic reformers, Fred Hilmer and Gary Banks, told our economics correspondent Adam Creighton yesterday that it might be time to wind back the nation’s emissions reductions target under the Paris Agreement, or at least make it subservient to the priorities of cost and reliability. “Not only are we choosing to transition to low emissions at a high cost, which is the RET or RET Mark II, we’re doing it over a compressed timeframe,” Professor Banks said. The Prime Minister, on the other hand, remains committed to the target (which was agreed under Mr Abbott) and insists we can have our cake and eat it. “You’ve got to make sure that you keep the lights on, people can afford to keep them on, and you meet your emissions reduction obligations,” he said. However, it seems clear that this trifecta — aimed at solving the energy “trilemma”, as Mr Turnbull refers to it — cannot be achieved. Meeting the emissions targets is undermining the cost and security objectives. Still, we wait, as Mr Turnbull keeps “working through this very complex area very carefully” to finalise a policy. His leadership nemesis Mr Abbott is stepping into the policy vacuum and Labor leader Bill Shorten is promising to go even further and faster down the perilous emissions reductions path. In South Australia the Labor government is spending $550 million trying to remediate its renewables-dependent network and the Liberal opposition has additional costly plans to do the same. This is our glimpse into an energy future where no one will need to be paid to power down their appliances because it will be too expensive to switch them on, or the electricity will be out anyway. With wind power output nothing but pure chaos, demand management is about the best that these lunatics can come up with. When your power generation system depends on whether the sun is up and/or whether the wind is blowing, but not too hard, the only response available is to simply tell power consumers to “go to hell”. Not many businesses would survive by putting their customers’ needs dead last. But, somehow, electricity supply is different; once the sun and wind get to make the call. One retort STT saw during the week was a suggestion that, instead of turning down their air conditioners or turning them off at the behest of nervous grid managers or pious politicians, householders and businesses should do precisely the opposite. By cranking up their air conditioners and dialling down their thermostats to sub-Antarctic levels, collectively, power consumers will engineer mass load shedding events across whole States. The political science behind such a move is as crude as it is brilliant. By plunging themselves, and all of their compatriots along with them, into sweltering darkness, the proletariat, as a whole, gets to experience the inevitable, Stone Age consequences of attempting to run on sunshine and breezes. 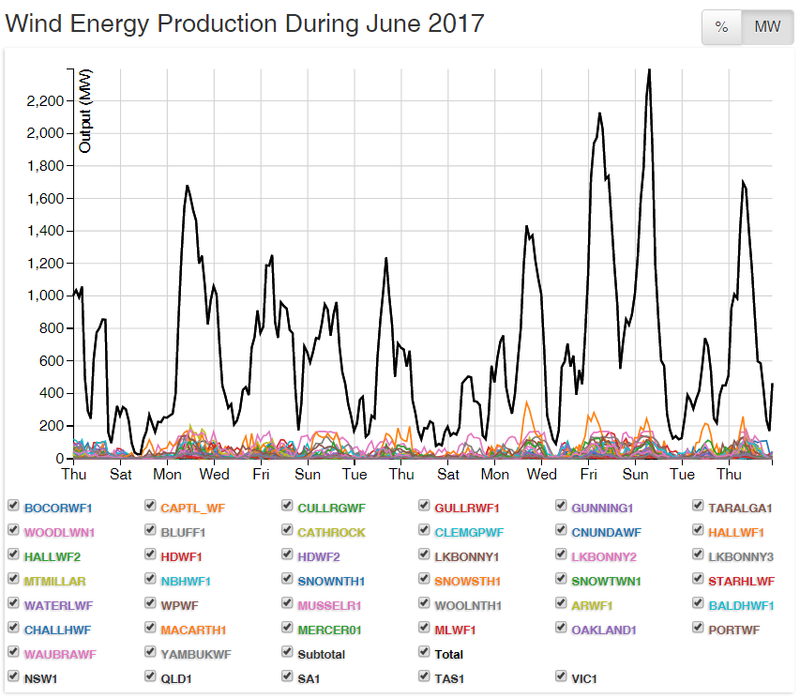 Remember, that the statewide blackouts and mass load shedding suffered by South Australians has always been about collapses in wind power output – the infamous 28 September 2016 blackout, because the wind blew too hard and turbines automatically shutdown. Gary Banks and Fred Hilmer are right. 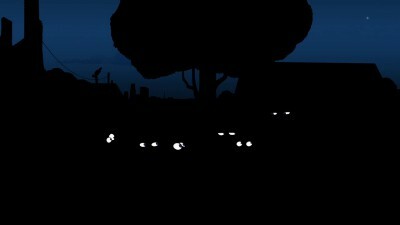 All Australians need to experience the kind of blackouts which South Australians have come to expect as part and parcel of their miserable lives. Perhaps a rebellious and collective use of air conditioners during this coming Summer’s first heat wave will do the trick. Hilmer and his mate keating were the architects of the present electricity disaster with their privatizing of the electricity industry. It looks like as with all disasters Hilmer is now trying to muddy the water with inane comments about what caused the present problem, No it wasn’t me it was the man in the moon. Good one Fred but you are one of the main causes of the disaster that Australians and Australia now face but unlike the French back in 1789 the guillotine wont be wheeled out into a Canberra public square to punish the real criminals and that is the big pity of today that no one will pay the price for the stupidity shown by these frauds and enacted by the so call experts. Queensland has the 3rd highest prices in Australia and its generators are state owned. Queensland also has a $80 Billion government debt that keeps growing and the state government has to find the money to pay the interest every year on that debt. Surprisingly there is only one way to get that money and that is to claim that all the poles and wires are gold plated and force the generators to pay the government huge sums of money. The cost of the power produced in Queensland is the cheapest in Australia it’s the state government that sets the retail prices so it can raise taxes from it’s government corporations by stealth..
What was your point? Oh, that’s right, privatisation has caused the rapid increase in power bills. And yet, Queensland’s government owns the generators, sets the retail price and that price is 3rd highest in the country. It clearly has nothing to do with privatisation, then, does it? 3weeks after the Fukushima disaster,I drafted FLONUPS (TM pending) ….Floating Nuclear Power Stations, which, had they been retrospectively employed at Fukushima, would have avoided the disaster. Moored offshore in deep water, they are earthquake and tsunami proof, NIMBY proof and “Out of Sight, Out of Mind”!! Technology is all fully understood from off..the..shelf marine nuclear power units through to WW2 concrete floating caisson construction. Each unit is housed in its own isolation cell, ready for instant flooding by gravity shd it go rogue (and when did a marine unit last go rogue??) Nota bene that the reactors are deliberately located below external water..line to permit gravity immersion. “You’ve got to make sure you can keep your lights on, that people can afford to keep them on, and you meet your emissions reduction targets.” To bastardize a common saying: “Pick two!” because you can’t have all three. Roll on blackouts. The comparison with Third World countries as Australians ration power in the coming summers will be ironic. Nuclear power ticks all the boxes. Yes! Wind and solar never will. Nuclear power will never happen in a now third world Australia because one it is to dear to build nuclear power plants, two Australia would have to set up a nuclear industry, three any nuclear power station would have to be built by a government because of the cost and insurance problems, four Australia’s lineal power system needs several power plants along it’s length not just two large $10Billion nuclear power stations near Sydney or Melbourne. No electrical engineer worth his salt would advise such a stupid idea. Never, say never. The new National Energy Guarantee combined with the retailer emissions obligations, announced this week make nuclear power inevitable. You doggedly refuse to acknowlegde Small Modular Reactors. We could find hundreds of engineers from 30 countries currently enjoying affordable, reliable, secure and emissions free nuclear power, astonsished that a G20 country doesn’t have nuclear power. There is nothing stupid about it. France gets 75% of its power from nuclear, doesn’t suffer blackouts and pays half the retail price paid in South Australia. 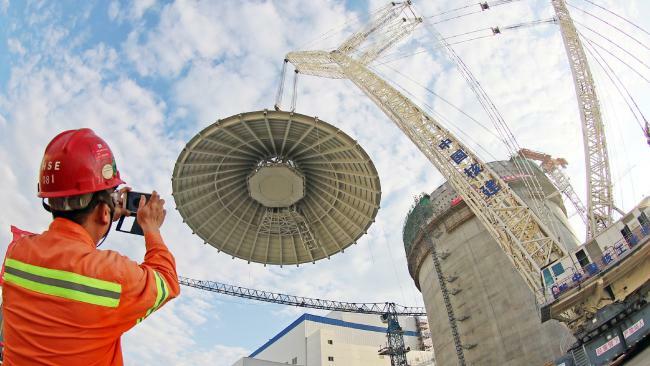 No nuclear power being used by the world’s largest uranium exporter. Now, that is stupid.